Trek your walking shoes and join in the forest adventure. Admire the beautiful flowers, plants and animals! You can almost always use these special cards; From invitation to improvement, for big and small, or simply. 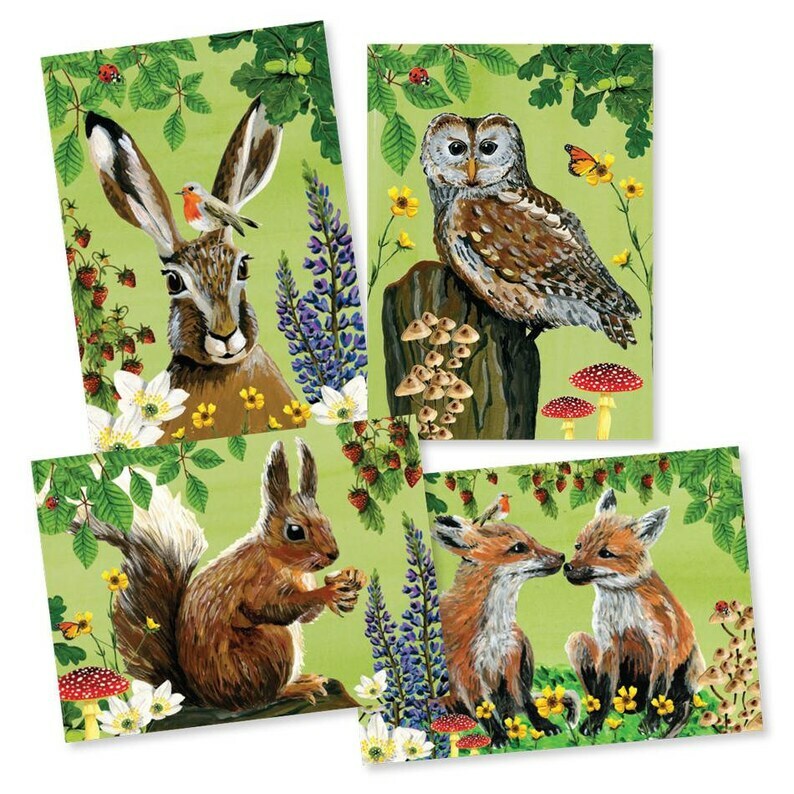 These special single cards are fine to send or nice to frame. The original is painted with gouache. These cards are part of the series adventure in the forest. These cards are printed on 300 grams of white paper, with a beautiful layer on the front. The back is fully printed and is well writable. You can also order these cards with luxurious yellow, green and purple envelopes or envelopes of Kraft paper.